An amazing opportunity to develop a business built around an innovative X-Reality product for Remote Support as well as customized X-Reality application projects. Our growing Softability Studio business unit is searching for a leader. In this startup spirited business unit you will be leading the development and handling the customer relations of our VIESTI Remote Support solution among with other software projects. You are an entrepreneurial and warm hearted person and leader. You have background from software projects either as a team leader or as a developer. Experience from product development and possibly working as a product owner is a huge advantage in this job. 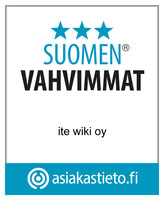 We are expecting you to communicate fluently in Finnish as well as English and that you enjoy working with customers. We offer you an opportunity to work with a great team with fascinating projects and product development. We have a top team full of talents from different fields at your disposal and our top management's support behind you. Competitive provisio is based on the results. If you are interested in, please send an application, link to your LinkedIn profile and other important information that is relevant for the job to: janne.repo(at)softability.fi. We would like to know more about you and introduce our company! For more information contact Janne Repo, CEO, janne.repo(at)softability.fi or GSM +358 40 550 8280. You work as a Test Automation Engineer in our various customer projects. 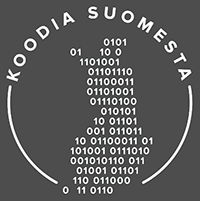 You design and implement automated test sets in large Lue lisää..
We are looking for experienced developers to strengthen our team. A great opportunity for a versatile expert to work with latest Lue lisää..
Would you like to work in versatile customer projects in which you get to develop systems for bare-metal-hardware, RTOS-platforms Lue lisää..